A Chinese state media outlet is reporting that another Canadian citizen has been detained on suspicion of engaging in activities that endanger China's national security. Earlier in the day, Global Affairs Canada said in a statement to CBC News that it had been "unable to make contact since he let us know he was being questioned by Chinese authorities. 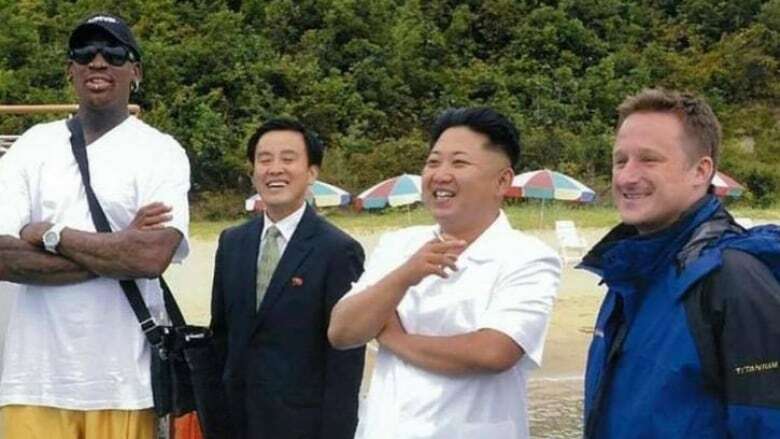 Spavor's personal Facebook page contains several images of him with North Korean leader Kim Jong-un, including one of him with both Kim and former professional basketball player Dennis Rodman at an undisclosed location. 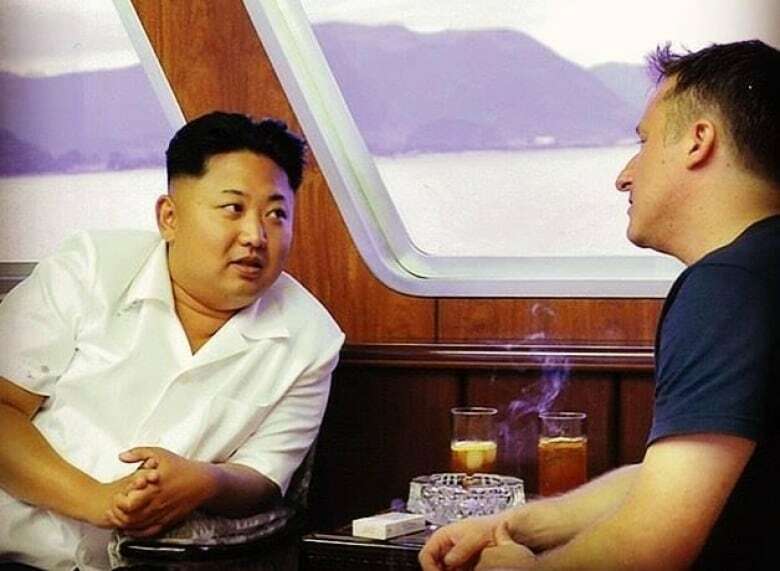 Another image shows the two sharing a drink on a boat. Foreign Affairs Minister Chrystia Freeland declined to provide more information about Spavor's case in a briefing Wednesday, calling it a "delicate situation." Canadian authorities have said they are in touch with his family. Freeland's office had no comment when asked about the report out of China saying Spavor had been detained. Spavor's disappearance follows the arrest of Michael Kovrig, a Canadian diplomat on leave who was taken into custody earlier this week by Chinese authorities. Beijing News, a state run newspaper, published a report Wednesday citing unnamed sources saying Kovrig had been detained on suspicion of engaging in activities that endanger China's state security. Kovrig, who is on leave from Global Affairs Canada to work for an NGO in China, was detained by Chinese officials without explanation earlier this week. Freeland said Wednesday that Canada has yet to get consular access to Kovrig and has not been provided with information about his whereabouts. Kovrig's arrest came days after Canada detained the chief financial officer of Chinese telecommunications firm Huawei, Meng Wanzhou, on an extradition request from the U.S. Freeland said that Meng, who has been released on bail, was given consular access immediately after her arrest. Since the arrest of Meng, Canada has argued that the request to detain Meng was made at the officials' level and was not politically motivated. It's an argument that has not been easy to make to Chinese officials, according to a senior government official speaking to CBC earlier this week on background. ​The minister repeated that position again today when asked whether U.S. President Donald Trump's statement Tuesday evening — that he was willing to intervene in the case if it would help his country's interests with China on security or trade — had politically tainted the extradition process. "If I think it's good for what will be certainly the largest trade deal ever made — which is a very important thing — what's good for national security, I would certainly intervene if I thought it was necessary," Trump said. In her answer, Freeland delivered a veiled threat to the U.S., saying that any decision to extradite Meng would be based on the rule of law and the interests of justice, and not on the political objectives of any foreign country. "It will be up to Ms. Meng's lawyers whether they choose to raise comments in the U.S. as part of their defence of Ms. Meng and it will then be up to the Canadian judicial process, to Canadian judges, how to weigh the significance of what Ms. Meng's lawyers say," Freeland said. The minister said that if Canadian courts decide that the U.S. has successfully met the threshold to extradite Meng to the States, the Attorney General of Canada, Justice Minister Jody Wilson-Raybould, would then decide on whether to agree to the extradition request. "It, I think, is quite obvious that it ought to be incumbent on parties seeking an extradition from Canada, recognizing that Canada is a rule-of-law country, to ensure that any extradition request is about ensuring that justice is done, is about ensuring that the rule of law is respected and is not politicized or used for any other purpose," she said. 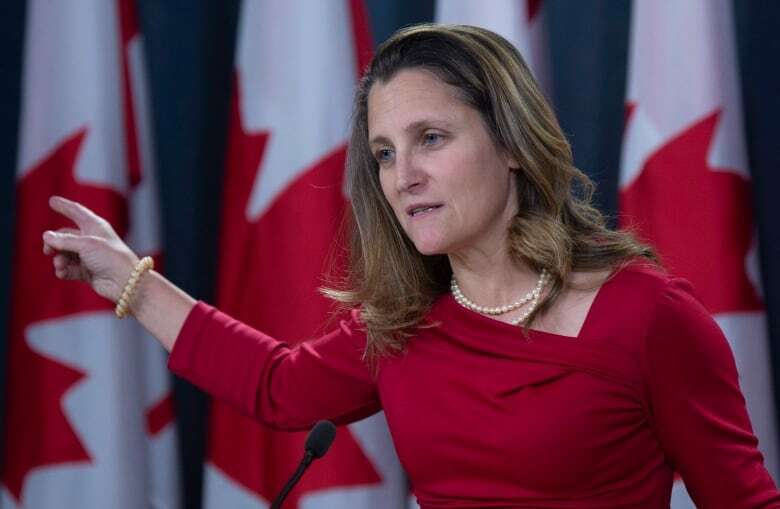 Freeland returned to this point throughout her news conference, saying she had spoken to her American counterpart, U.S. Secretary of State Mike Pompeo, about the request for Meng's extradition, emphasizing Canada's position. "I think in the world today, where the rule of law is under threat in some parts of the world, being a rule-of-law country is more important now than ever," Freeland said. "And what I can commit to for Canadians, and for our partners around the world, is that Canada will very faithfully follow the rule of law."